Scott McMahon, ASA, MRICS is an Accredited Senior Appraiser with the American Society of Appraisers and a member of the Royal Institution of Chartered Surveyors. Mr. McMahon also holds a MBA in finance and a bachelor’s degree in economics. Mr. McMahon has over 14 years of experience performing both domestic and international business valuations. Mr. McMahon performs valuation consulting and appraisal services for businesses, specific interests, intangible assets, and commercial real estate. These assignments serve a variety of purposes, which include due diligence for acquisitions and divestitures, litigation support, fair value reporting, property tax disputes, gift and transfer tax purposes, mergers and acquisitions, bankruptcies, dispositions, recapitalizations, divorce, estate tax planning, financing and refinancing, syndicated loans, and other corporate finance consulting assignments. Mr. McMahon has supervised and performed hundreds of engagements involving the valuation of intangible assets including customer and supply contracts, power purchase agreements, transitional agreements, mineral and fossil fuel rights, transmission constraint contracts, R&D, workforces, patents, computer technology, trade names, leases, non-compete agreements, and goodwill. Specializations include: discounted cash flow and direct capitalization models, relief from royalty analyses, excess earnings models, statistical analyses including price forecasting, business entity and business interest valuations. His technical skills include business and intangible asset valuations, competitive and risk analysis, and financial modeling. 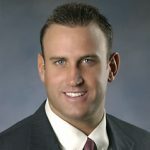 Mr. McMahon has testified in state court and arbitration/mediation hearings and he has provided numerous litigation and negotiation support services regarding valuations for court cases held within New York, New Jersey, Illinois, Michigan, Georgia, Nevada, California, Connecticut, Indiana, Pennsylvania, Massachusetts, and Minnesota. Mr. McMahon has also given numerous professional lectures and presentations on the subject of valuation.